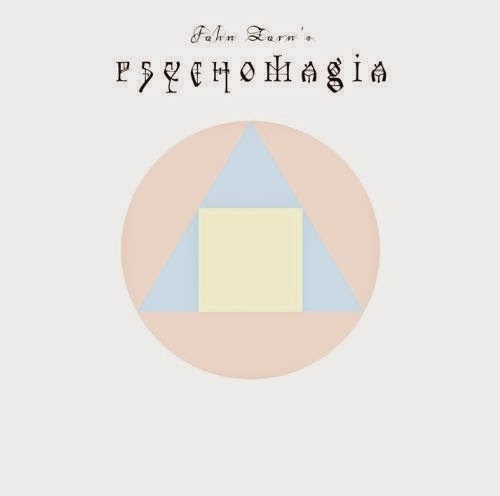 Though I don’t know exactly what Psychomagia means, the name oddly fits the sometimes-manic and often-magical music performed on John Zorn’s latest project to be released, out just last month from his Tzadik label. Like so much of downtown New York’s premier creative music mastermind’s best works, he makes music from unlikely non-musical sources. In this case, he took inspiration from the writings of the medieval Dominican friar, philosopher, mathematician, poet and astronomer Giordano Bruno and Chilean avant-garde filmmaker Alejandro Jodorowski. As the composer, producer and arranger, Zorn left the actual performance of his music to the modern Moroccan-Jewish experimental rock combo Abraxas. Led by bassist Shanir Ezra Blumenkranz, Abraxas is completed by drummer Kenny Grohowski and the dual guitar threat of Eyal Maoz and Blumenkranz’s Kef bandleader, Aram Bajakian. Zorn is productive to the extreme and a site could keep busy just devoting itself to covering only his output. Psychomagia is a spot we picked to highlight because it’s another installment of Zorn’s Masada Book Two – The Book of Angels series and his last one, Tap: Volume 20, famously featured Pat Metheny, earning wide acclaim last year. But for Volume 19, Abraxas was the vehicle and Zorn is already returning to the quartet two volumes later; he’s only used a musical act twice in this series once before. Other past performers of the Book of Angels have included Ben Goldberg, Medeski, Martin & Wood, Koby Israelite and Marc Ribot. Abraxas gets Psychomagia going early with “Metapsychomagia.” It’s raucous and powerful (though not off the rails Naked City style), but peek behind the Santana-goes-to-Tel Aviv vibe of the song and you’ll find some of Zorn’s compositional and arrangement genius at work; the song flows like a narrative with chapters invoking uncertainty, struggle and ultimately, triumph, with a Near Eastern mysticism pervading throughout. Zorn isn’t so much a control freak that he prevents the true characters of the musicians to flourish; the unique guitar personalities of Bajakian and Maoz find fertile ground on this and all of Zorn’s other songs. Clearly, though, the musicians are being challenged by the material; the complexities of the compositions, the discreet modulations and the way the chords sound being as impactful as the chord selections could easily frustrate lesser musicians. “Celestial Mechanism” mashes together elements of math rock, heavy psychedelia and avant-jazz in such a manner that can’t just be happenstance even though the raw energy of a jam is present, too. Sometimes there are collisions of noises that create dense thickets of metallic sounds but Zorn’s exotic strains punching through provides the intelligence to balance out the raw energy; that’s the appeal of a rowdy number like “Four Rivers.” Coming right after “Four Rivers” in the sequencing, “The Nameless is God” offers a gentle respite that showcases appealing and complementing spectral guitar expressions by Bajakian and Maoz and a brief dulcet turn by Blumenkranz.